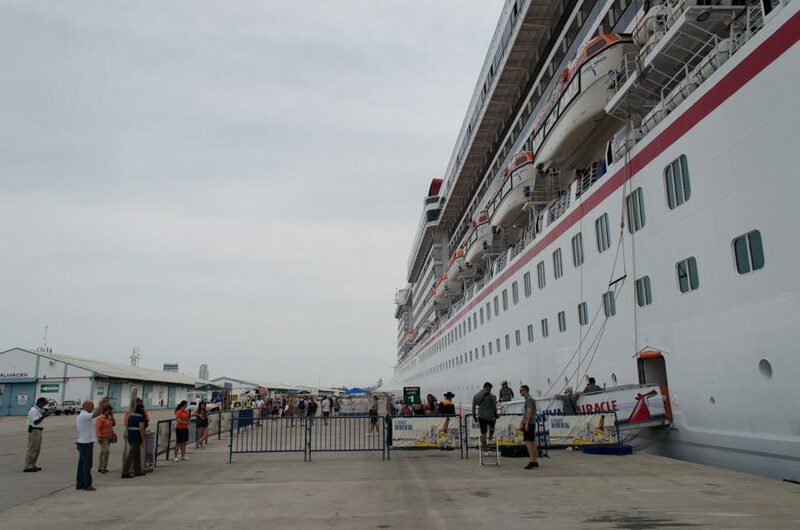 Carnival Cruise Line’s Carnival Miracle arrived in the port of Mazatlan, Mexico just after 7a.m. this morning, tying up next to the commercial pier on a day just dripping with humidity. 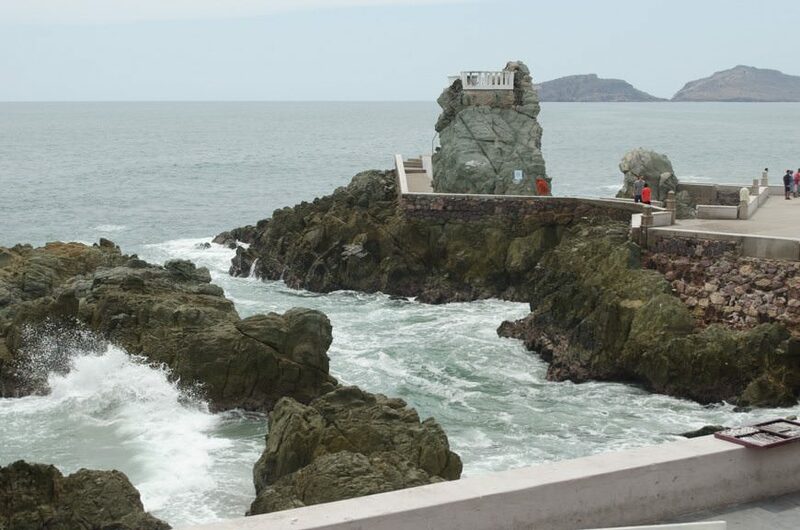 Mazatlan has been one of my favorite ports of call since I started coming here in 2006. 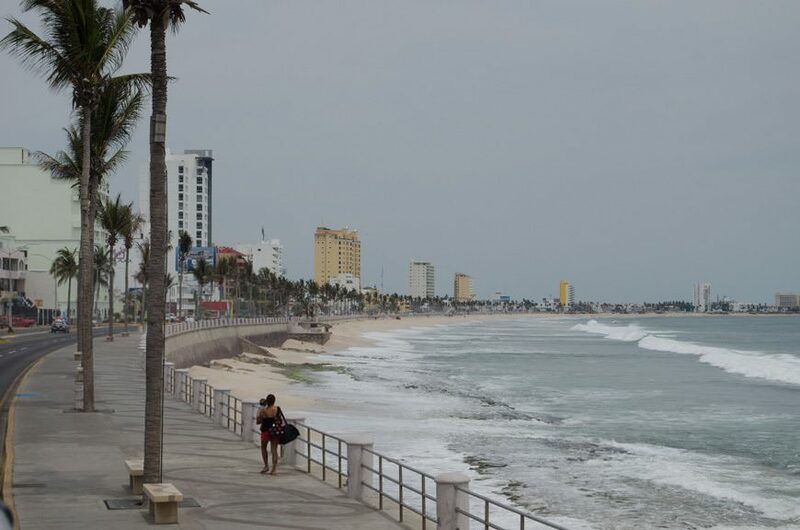 I was dismayed to see the city of 430,000 removed from Mexican Riviera itineraries back in 2011 after a brief but well-publicised spate of violence. Apparently, CNN never bothered to do the math on how many people are murdered every year in the Miami-Dade area; half a dozen dead tourists in Mazatlan was enough to drive the nail through the coffin for the better part of the decade. 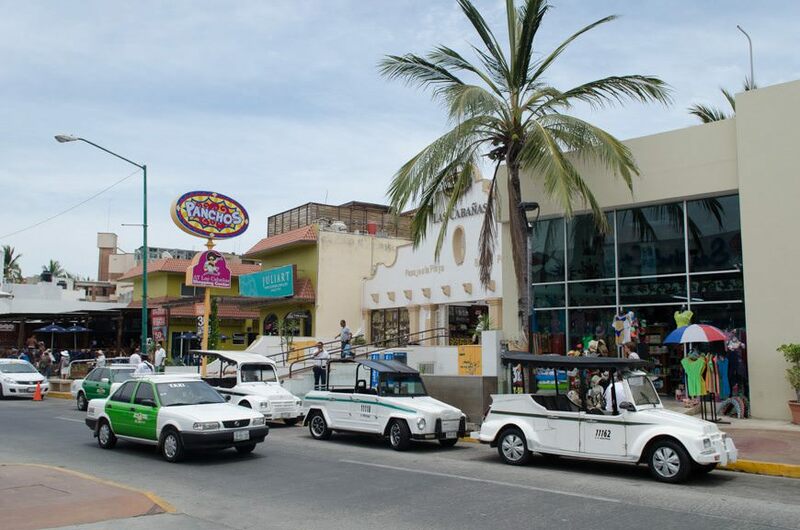 But Mazatlan and the Mexican Riviera are back once more, and a lot of credit has to be given to Carnival: they’re basing Carnival Miracle here year-round this year. It’s a far cry from 2011, when the much-larger Carnival Splendor was sailing out of Long Beach on year-round Mexican Riviera trips, but in many ways, the smaller Carnival Miracle is better suited to this run. Carnival also becomes one of the few lines to give Mexico their vote of confidence, and I truly hope their actions inspires other lines to return here. When I first started sailing the Mexican Riviera in 2006, nearly a dozen cruise lines operated here on – at the very least – a seasonal basis that extended from October to May. Today, less than five cruise lines have committed to the Mexican Riviera, and fewer still actually operate a “full” half-year season here. 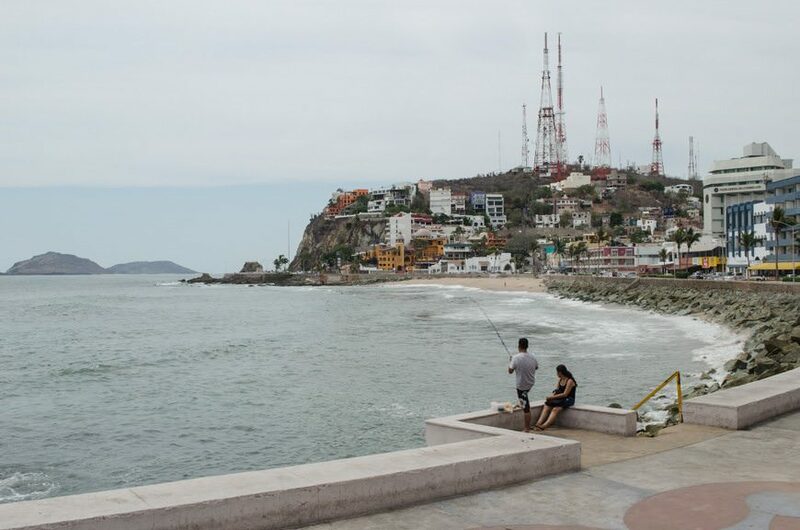 Why is the Mexican Riviera so important? There’s many answers. 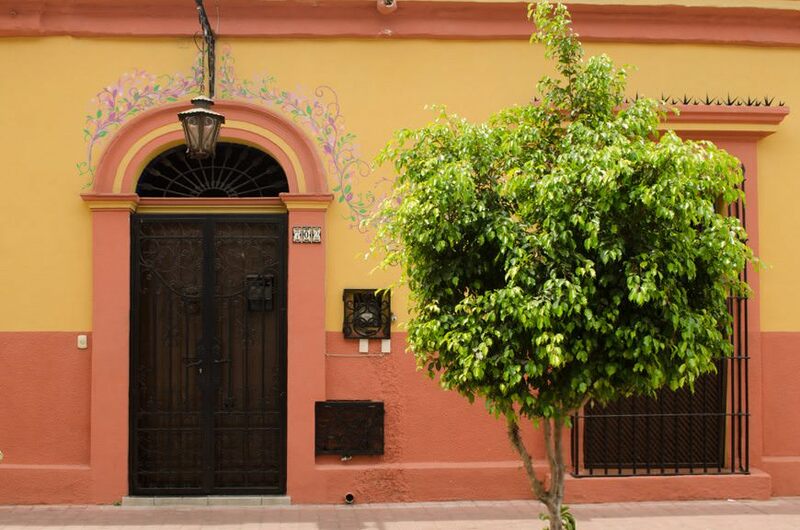 First and foremost, the Mexican Riviera is the ideal warm-weather getaway for people who live on the West Coast of the United States and Canada – myself included. For me, getting to Miami takes longer than flying to Paris or Tokyo, and involves far more connections. It’s also the perfect antidote to a Caribbean that’s becoming woefully oversaturated. My last call on Philipsburg, St. Maarten saw six cruise ships in port on the same day – each one carrying between two and five thousand guests apiece. And they all want to hit the same beach, shops, and bars that you do. 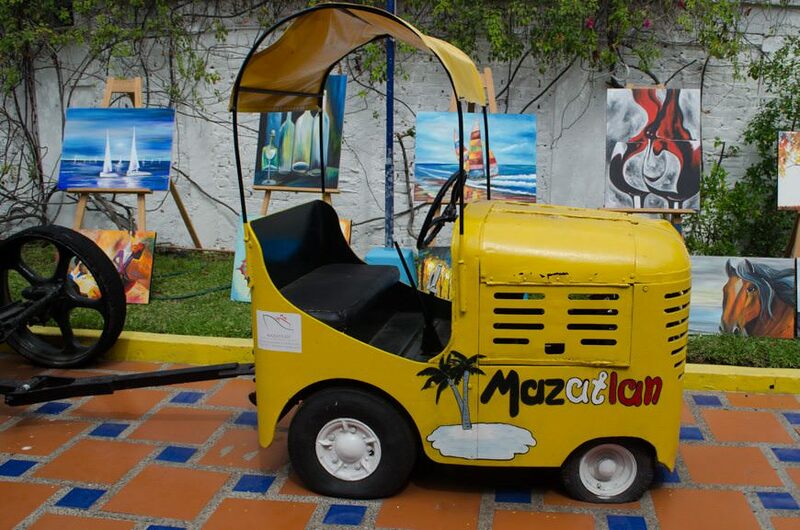 Mazatlan, on the other hand, has always inspired me with its beauty and diversity. 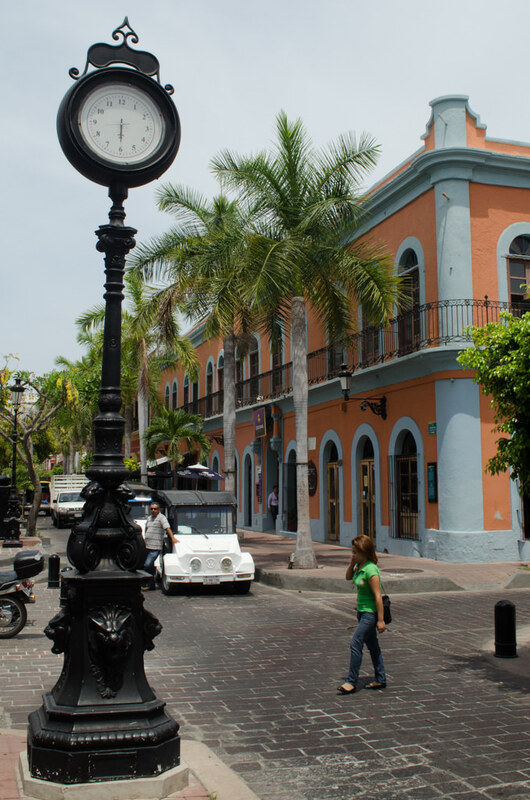 There’s the Centro Historico – or Historic District, with its classic colonial Spanish-style buildings and tree lined plazas. 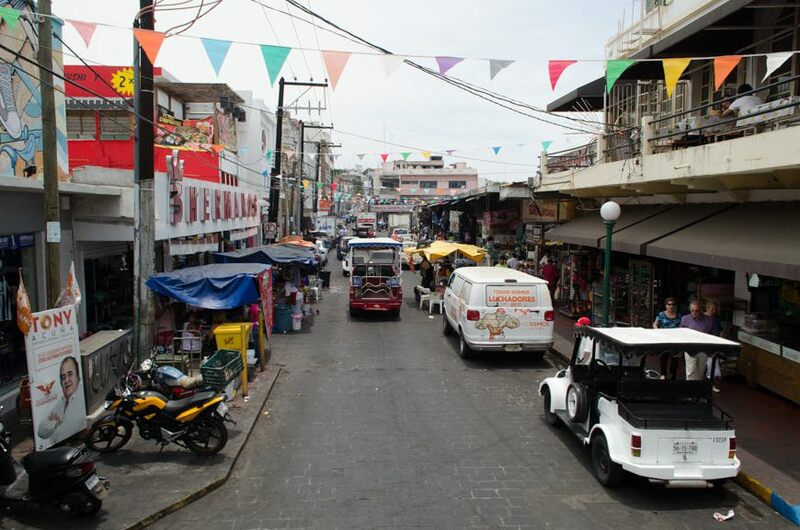 Across the city is the Zona Dorada – the Golden Zone, a playground that exists purely to separate touristas from their hard-earned cash. 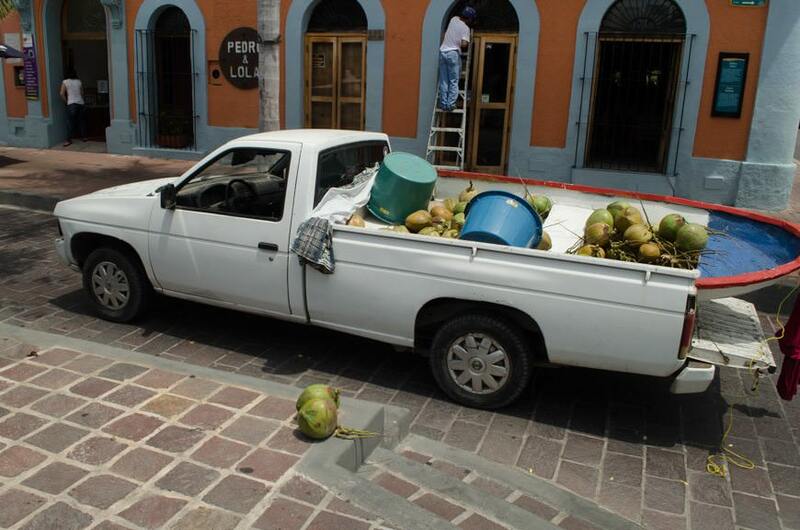 And everywhere in between, there’s still more than a touch of authentic Mexican culture. Sadly, I didn’t know what to do today. I hadn’t booked one of Carnival’s excursions, tempting as they were. 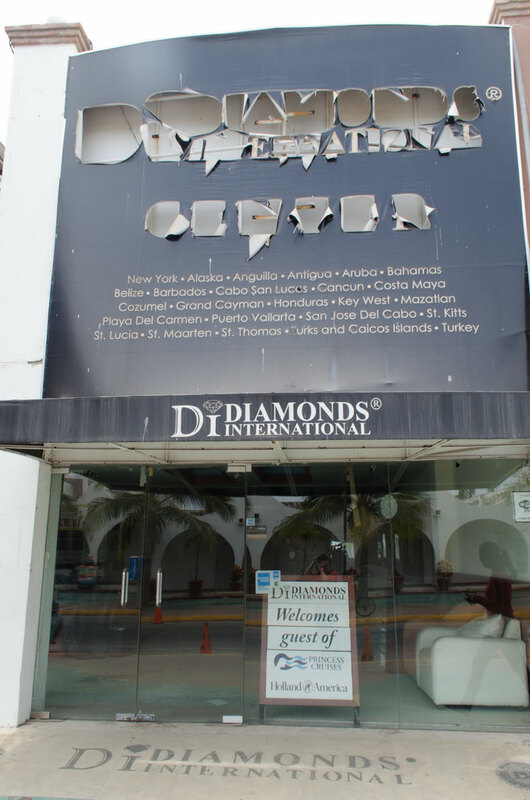 I really wanted to see Centro Historico, Zona Dorada and the Cliff Divers that are about halfway between the two. My unprofessional plan was to do some work, get off the ship, find a Pulmonia driver and pay him to take me on a roundtrip journey. Then, as I walked to breakfast in Horatio’s on Deck 9, the answer presented itself: Carnival had invited local representatives from the Mazatlan Hop-On, Hop Off (HoHo) Tour onboard the ship, and they’d set up a little kiosk right outside the midship stairwell. 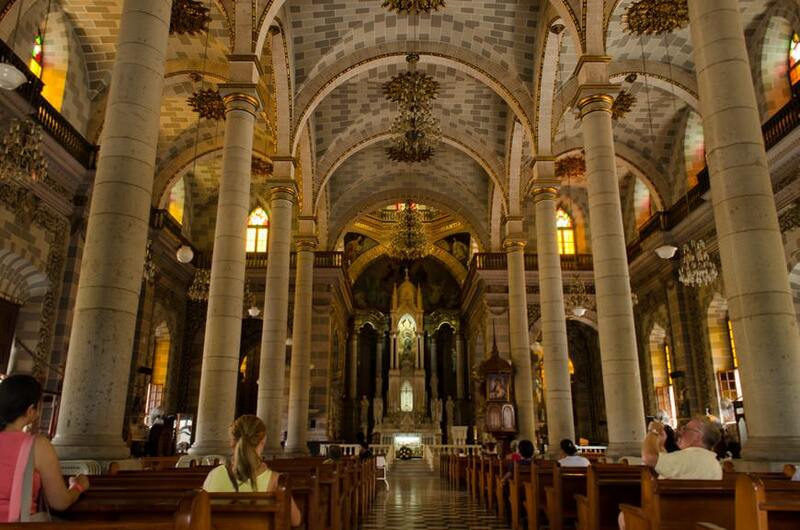 The Discover Mazatlan HoHo bus would depart from the cruise terminal and stop first at Centro Historico. It would then continue to Zona Dorada, and then stop at the Cliff Divers outlook before returning back to the pier. It departed every 30 minutes, and the cost was $25 USD for an adult, or $20 USD for a child. Better still: all you had to do was show your keycard, and it would be charged to your onboard account. They say never make decisions on an empty stomach, but I figured that sounded like a winner. So before I’d even picked up a plate or a cup of coffee, Carnival had solved my touring problem. I showed my keycard, they gave me a pink wristband, and I adjusted my schedule to hop off the ship after breakfast. Getting on the bus was easy, but the second I stepped off the ship, the astonishing humidity hit me like a brick. Spawned by the now-Hurricane Blanca to the south of us, it’s the most humidity I’ve felt in Mazatlan on any visit. It reminded me of being in Vietnam, touring the last Viet Cong jungle: sweat pours off of you, even when you’re standing still. Maybe especially when you’re standing still. 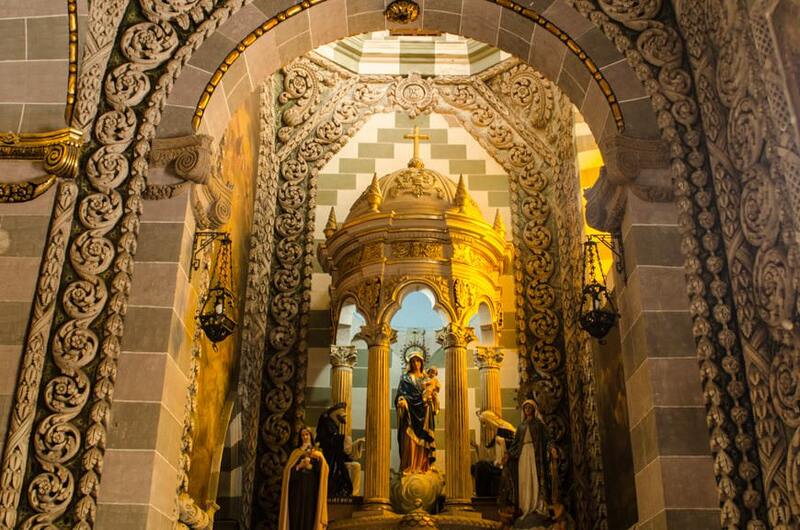 But the bus and its air-conditioned splendour came, and ten minutes later I was hopping off at Centro Historico, where I took the time to visit the Theatro Angela Peralta, which is named after the famous Mexican operatic performer who died here in 1883. 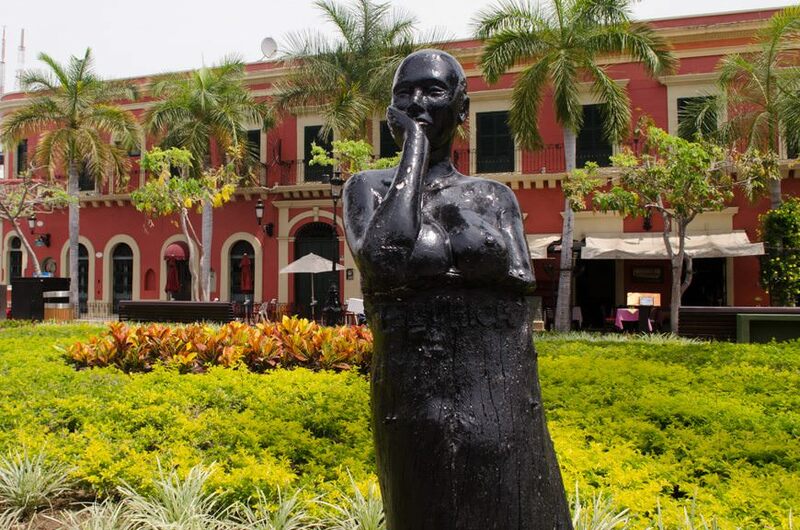 Legend has it that, although stricken with yellow fever, she sang one last aria from her balcony overlooking the Plaza Machado, where the theatre bears her name to this day. 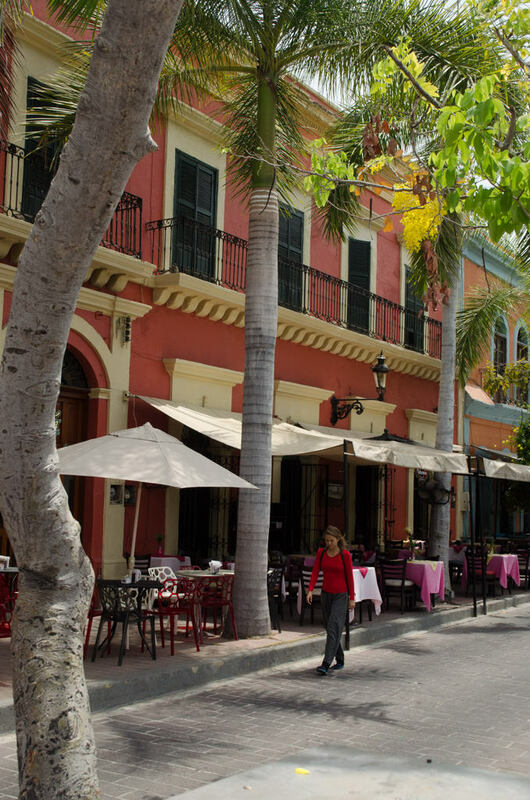 Plaza Machado is worth a visit in its own right. It’s picturesque, and has been noticeably restored in the nine years since I was last here. 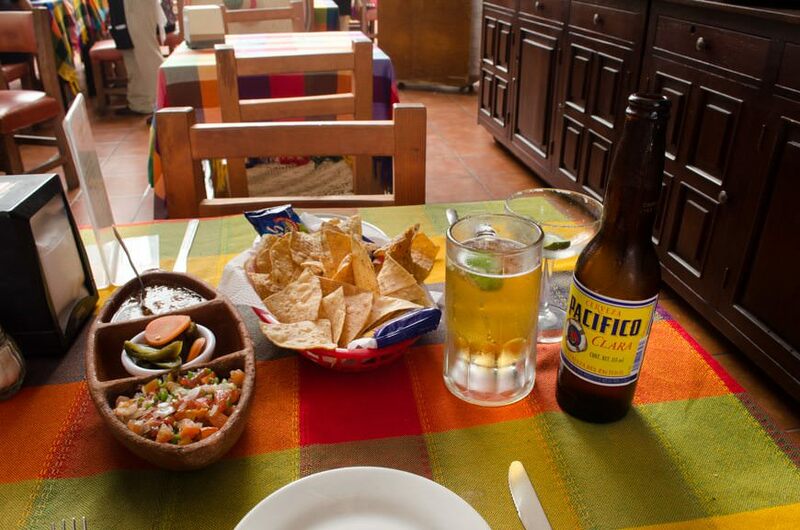 Sit down, grab a cerveza (beer), and enjoy the people-watching from this excellent vantage point. 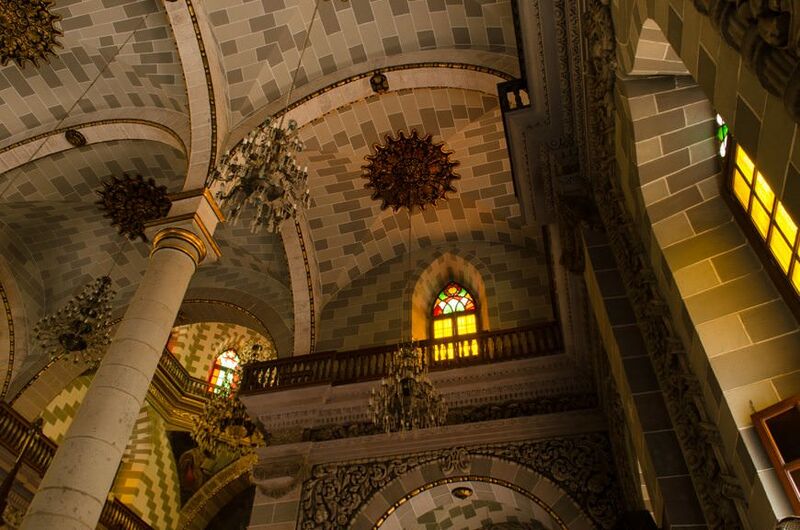 Of course, you also have to visit the El Centro Cathedral in Mazatlan. 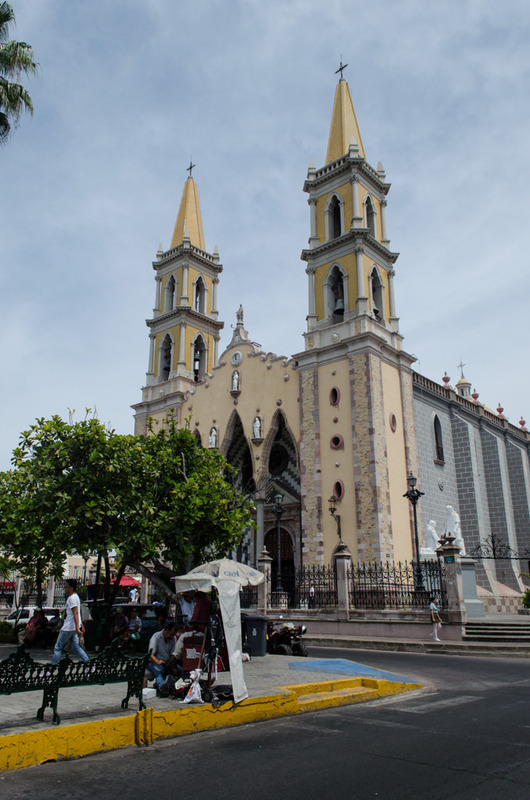 Constructed in the late 1800’s, the Cathedral is visible from the cruise ship, and from nearly every part of the Centro Historico. Satisfied with my picture-taking, I walked back to the HoHo meeting point – and ran into a snag. About a dozen people were lined up ahead of me, and nearly as many joined the queue behind me. It was about 10:35 – I’d just missed the previous bus. When the next bus rolled up at 11:00 a.m., it was packed – and only two people got off. Which, of course, meant only two people in a line of nearly 20 got on. Baking away in the heat and wilting in the humidity, my fellow guests didn’t handle this disappointment well. Once the realization hit them that the next bus was another 30-minute wait away, a handful absolutely lost it on the poor Mexican teenager (wearing a ‘Trainee’ nametag) who was acting as a representative for that stop. I can’t say I was pleased, either. Had I not been writing this blog and thus on “Official Cruise Business”, I would have paid the first Pulmonia driver I saw to take me the hell out of there. But, I’d paid $25 for a service that had, at this point, taken me ten blocks to the north. And I wanted to see how this would play out. By 11:30, the first glimmer of the orange double-decker bus could be seen in the distance, stuck in gridlocked traffic. It finally got up to us, and to our unbounded relief, all of those in line made it on. Still, at that point, I’d been standing on a hot Mexican street with no shade and evaporating water for well over an hour. However, the quality of the HoHo made up for it later in the day. 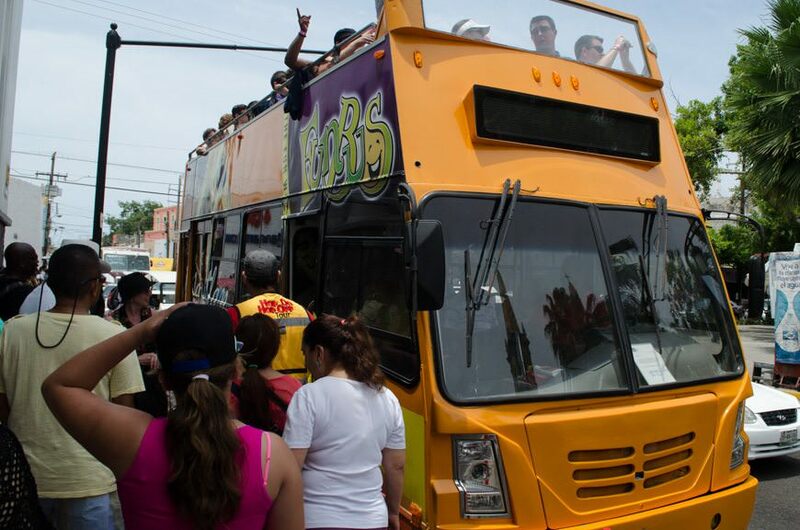 The bus, with its excellent commentary, whisked us all to the Zona Dorada: the Golden Zone. I first visited the Golden Zone in 2008 and again in 2010, and I was never really enamoured with it. But, there’s some excellent handmade Mexican pottery you can get there, so I wanted to make sure I visited. After lunch, getting on the HoHo was effortless: I walked out of the restaurant and on-to the waiting HoHo bus, which pulled away five minutes later. No fuss, no hassle. 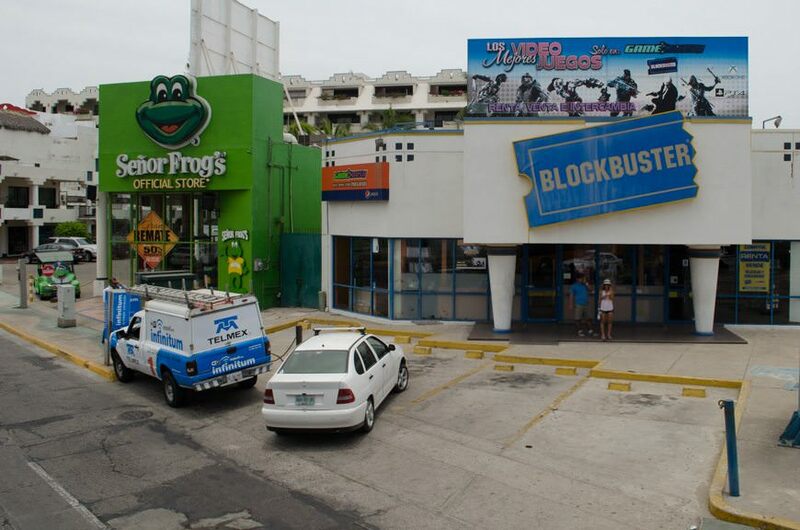 And for $25, I got to see everything I had wanted to in Mazatlan. This is the first time in four cruises to the Mexican Riviera that I’ve seen local vendors be allowed on the ship to offer an excursion to guests, but I liked it. It ended up being a great way to see the city, and being able to bill directly to my onboard account was a huge bonus. 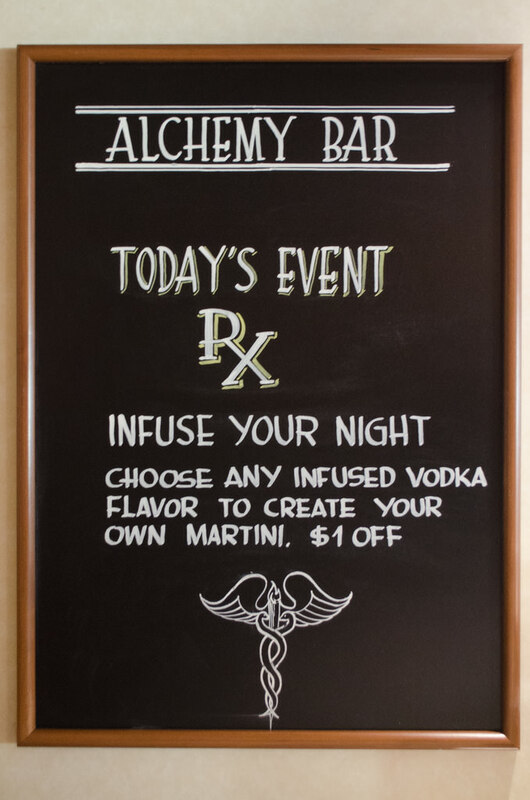 Tonight, I ambled back to the Alchemy Bar on Deck 2. 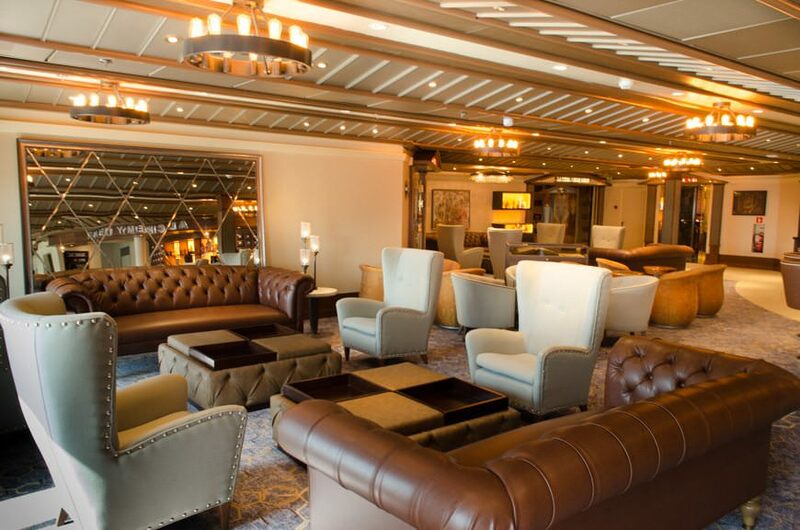 One of my favorite spaces on any Carnival ship, I’ve really grown to love this space in its incarnation aboard Carnival Miracle. 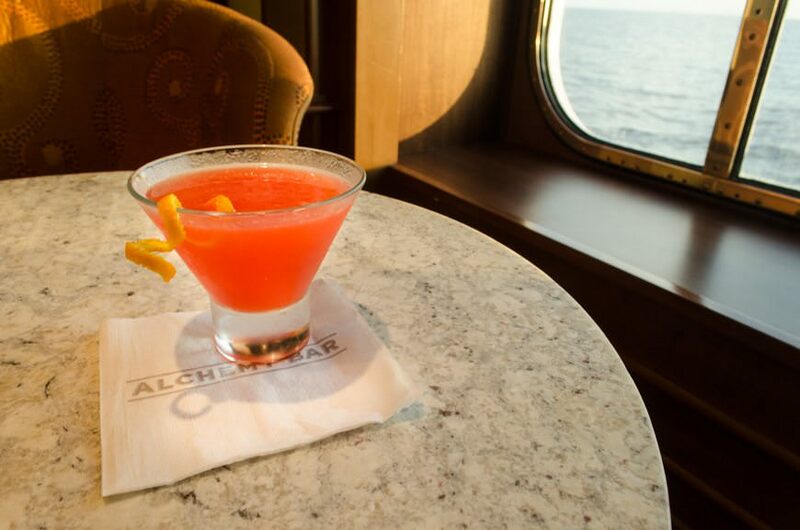 It’s larger than on other vessels, and is surprisingly classy and sophisticated. At $9.95, the drinks here aren’t cheap, but they are of an extremely-high quality. I ordered up a colourful concoction for the purposes of taking some photographs of it – and it was every bit as delicious as it looks. So before dinner, I sat reading my book, sipping my prescribed martini du jour, and occasionally glancing out the massive windows that line the lounge. 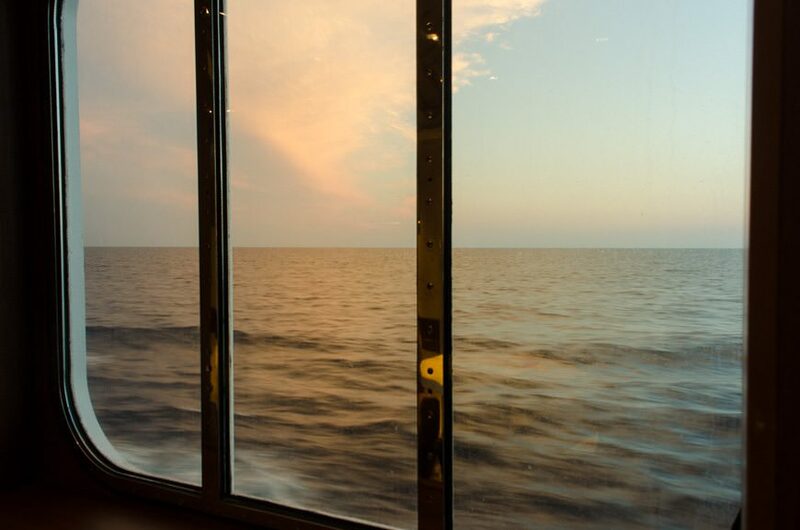 It speaks really well of Carnival that, even on a big ship filled with constant fun diversions and live music and scheduled activities, you can still find a spot to read a book, sip your drink, and quietly admire the simple, uncomplicated beauty of a sunset at sea.